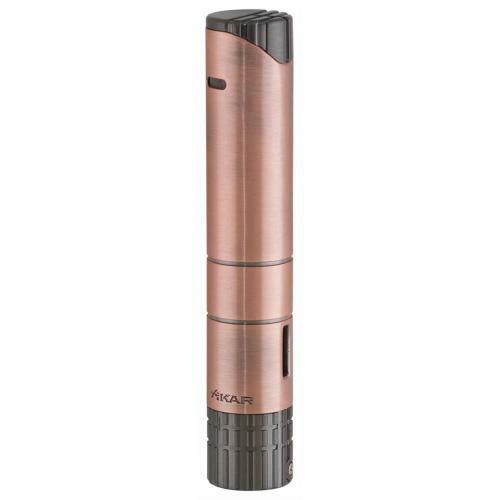 The Xikar Turrim is a tall, robust and unique double jet flame lighter. Its versatile cylindrical shape allows for easy portability in a cigar slot inside your travel case or as a durable table top lighter. 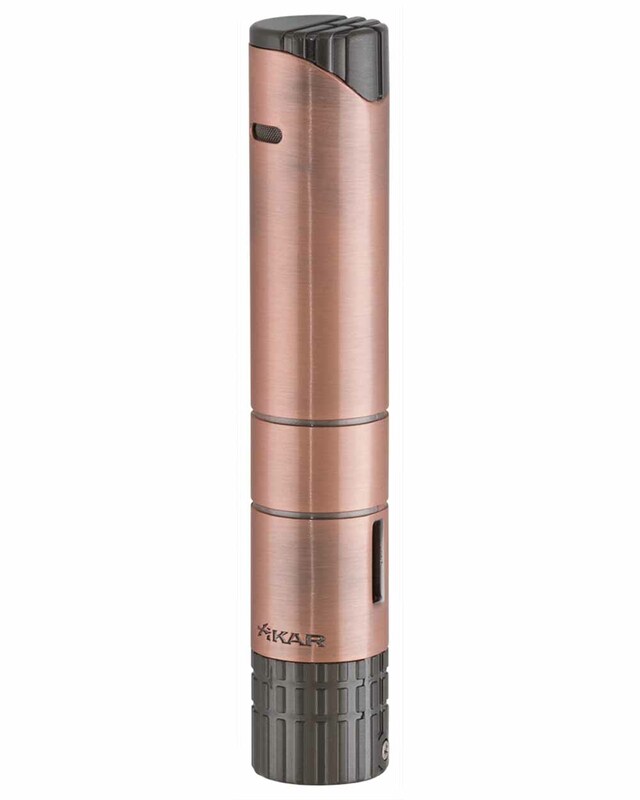 Its massive fuel tank and oversized, ratcheting fuel adjustment wheel are revolutionary to the cigar industry. Stand Tall. Journey Far.